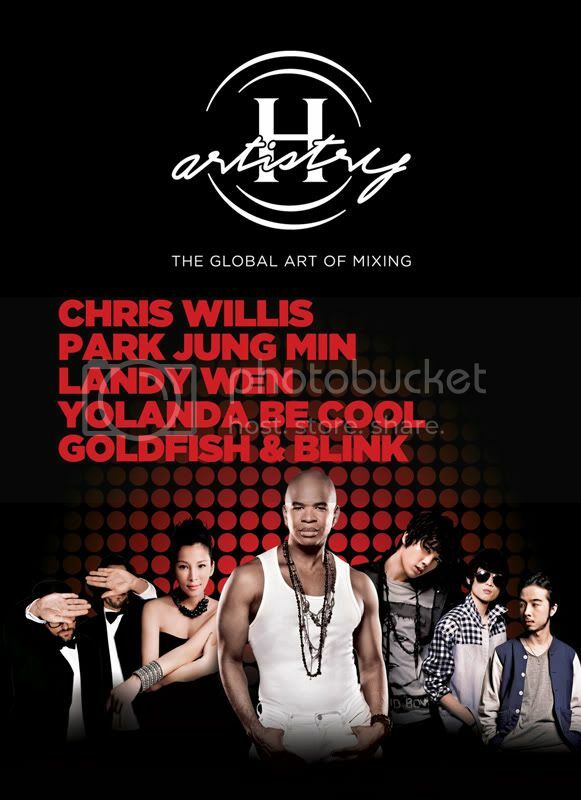 Hennessy Artistry's Biggest Party 2011 "Global Art of Mixing's" big bash on 12.11.11 @ MIECC,Mines Resort City. Join the biggest party with the exhilarating mix of the finest artist from the world over. 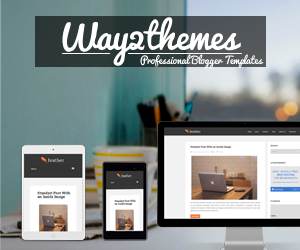 Top chart hits is listed with a heady splash of house,hip hop,pop,rock and also hard dance track. 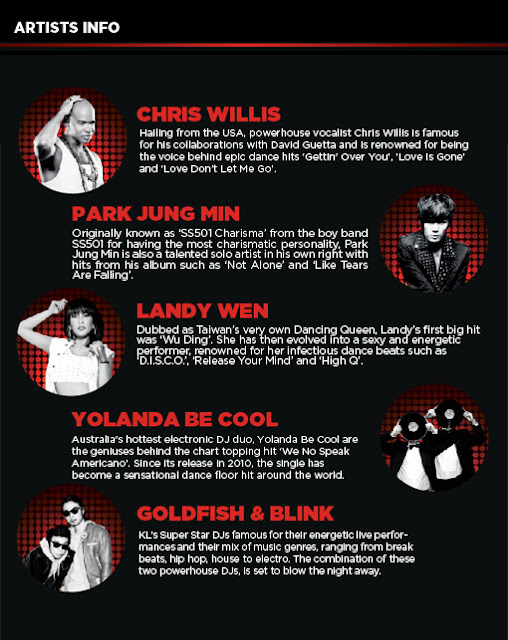 Introducing to the artists, Chris Willis,Park Jung Ming,Landy Wen,Yolanda Be Cool and DJ Goldfish & Blink. With Australian mega electronic duo, Yolanda Be Cool, American singer, songwriter and producer, Chris Willis, and local superstar DJs, Goldfish and Blink already penned in for what could arguably be the biggest party of 2011, the upcoming H-Artistry “The Global Art of Mixing” will also be featuring Taiwanese songstress, Landy Wen and Korean superstar, Park Jung Min (of Korean boy band SS501 fame) that is sure to bring to life H-Artistry’s innovative approach of blending together different musical genres from the East and West. Party-goers who register themselves on the official H-Artistry Facebook fan page (www.h-artistry.com.my/facebook) for the upcoming party will also be receiving a new Hennessy ID Tag (a wristband equipped with radio frequency identification – RFID – technology) which will allow them to log on to their respective Facebook accounts and automatically post their activities as status updates whenever they scan their wristbands onto a Hennessy ID reader located at each Hennessy Mixing Zone booth. 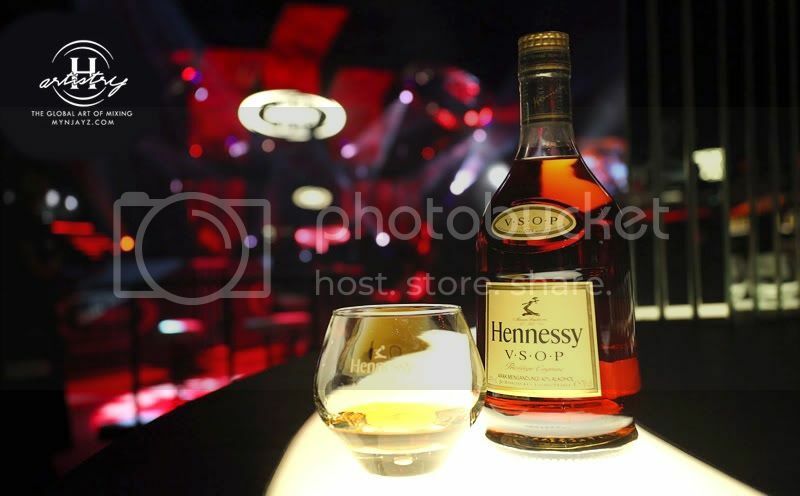 PS: You can also get Hennessy Aristry invites from 13th October till 29th October at these selected Club locations. Maison, Mist, Milk, @live, Opera and Vertigo. Limited of 500 invites per venue. Get em NOW! 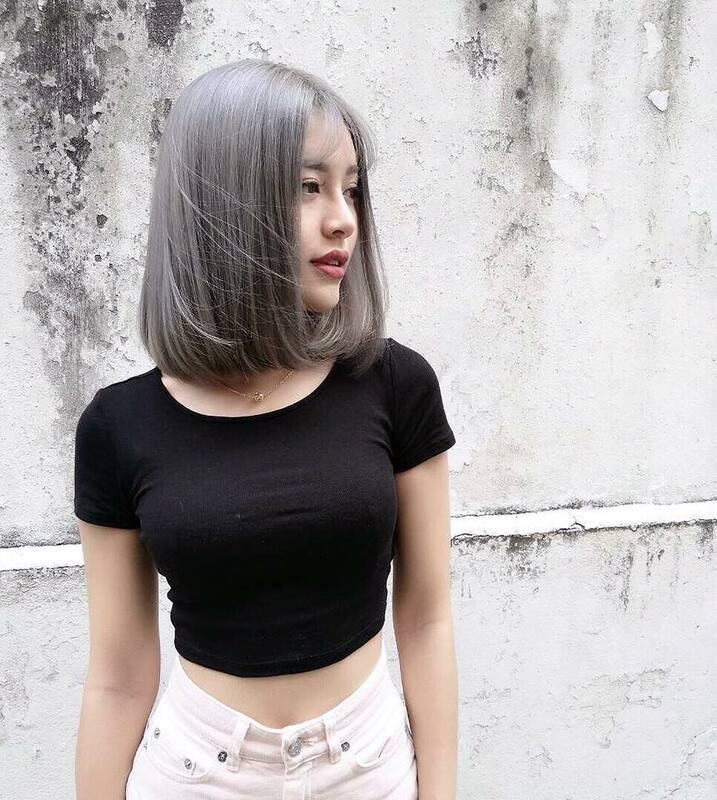 Alternatively to receive updates about the upcoming parties follow H-Artistry on Twitter: www.h-artistry.com.my/twitter. The upcoming H-Artistry party in MIECC, Mines Resort City is strictly open to non-Muslim guests aged 21 years and above only. ID verifications will be carried out at the door.